Say what you see with the new Catchphrase board game based on the popular television show. With over 250 catchphrases to guess you will have endless fun trying to figure out what they are. Mr chips is also there to try and help you along the way! This new board game is based on the popular television show and has over 250 catchphrases to choose from. Board game information: 3-6 players. General information: For ages 8 years and over; EAN/MPN/UPC/ISBN: 5019150001640. WARNING(S): Not suitable for children under 3 years old. Only for domestic use. This toy costs approximately £19.99 (for the latest and best prices make sure you check our retailer list for the CATCH PHRASE (new tv version) above). 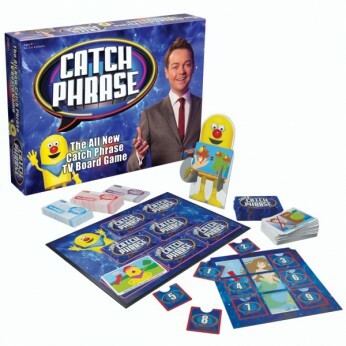 In our review of CATCH PHRASE (new tv version) we classed it as being suitable for ages 9 years, over 10 years, Teenagers but recommend you check the manufacturer specific advice before purchasing.